If you want something that's just that little bit different to listen to or give as a stocking filler this Christmas then it's well worth having a listen to this collection of fairly new artists who are in the Folkstock stable. Kaity Rae sets the bar pretty high with first track Red Paper Wrapping, which incidentally is the single from the album and will be released on December 10. Rae's strong and emotive voice brings a genuine warm feeling to the sad song which wouldn't be out of place as the John Lewis Christmas ad for next year. Zoe Wren has a voice that is crystal clear and laser precise and Snow White Lies does have a genuine winter feel about it. The way she sings it harks back to the heady days of the sixties in style and yet it also carries a feel of a time when songs were created in taverns and never written down but passed along by travelling balladeers. Snowman has hints of Prokofiev's Troika from Lieutenant Kije you can almost see the steam from Minnie Birch's gentle and breathy voice dissipating in the cold festive air. She has at times an endearing childlike sound that tells the story and is just a gentle treat to listen to. Kelly Oliver is well on her way to being one of the most sought after performers on the folk circuit and when you listen to A Song With No Name you cannot help but realise why. Her strong and distinctive voice flows wonderfully as she carries the narrative along using both her impressive singing and guitar playing at the same time accenting it wonderfully with her strong harmonica playing. 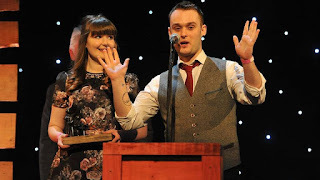 Garry Smith comes in with the wonderful "finger-in-the-ear" raw style of folk singing of Camden Town Christmas. It has the raucousness of The Pogues and the cadence of Greg Lake's I Believe in Father Christmas. It has just that hint of mischief and bawdiness and is one of those songs which should be brought out when everyone has been fed and has sunk more than a couple of sherries with Aunt Maggie. The absolutely wonderful opening of the dulcimer for I Watch The Snow evokes visions of the individual snowflakes falling, not unlike the April Showers song from Bambi, is the silver sixpence in the Christmas pudding (for everyone under 30 Google it). Then in comes Daria Kulesh's refined and cut glass crystal voice which is a pure delight, she is like Kate Rusby in that she could sing the Bulgarian phone book and it would still be worth listening to. For Peace In My Heart, John Fardon has an unusual voice, it's not powerful or particularly lyrical but it is full of emotion and is held up wonderfully by master fiddler Dave Swarbrick for what is a really thought-provoking ballad that does have a feel of a hybrid between a carol and a traditional music hall song. Said the Maiden who are Hannah Elizabeth, Jess Distill and Kathy Pilkinton, have a wonderful set of voices which harmonise like they were triplets. When traditional carols are included on an album such as this they can tend to be either devoid of any real emotion, schmaltzy or commercially saccharin - fortunately STM have done it justice. This is a lovely modern take on O Holy Night and churches and choirs would do well to incorporate this version into their curriculum. Pete Guy's version of perhaps the greatest and most heart tugging carol of all time, Silent Night is certainly unusual. 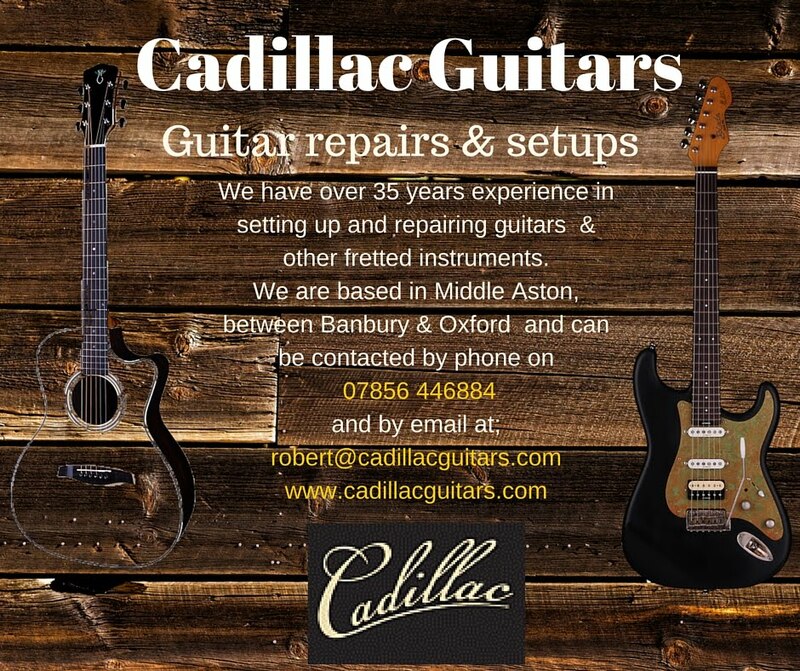 The tune, although played well, is almost superfluous and with Guy having a sound which reminds of the great Billy Fury he could have sung this gentle and undulating traditional hymn a cappella and it would have been just as good if not better. Among all the festive compilations and rehashed Christmas songs, if you want something different, that little bit alternative and which has been given a little more thought then you could do a lot worse than The Christmas Present which, once unwrapped, has some traditional tunes song by some fresh and delightful voices. 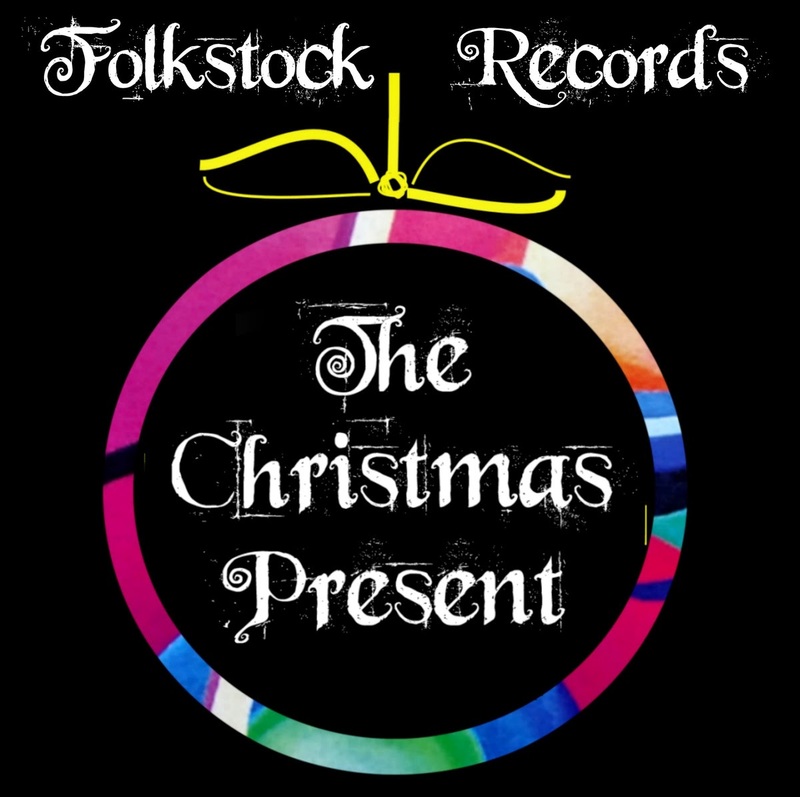 The Christmas Present is out now on Folkstock Records and available for download digitally. Ralph McTell, who has recently celebrated his 70th birthday, writes some of the most fantastic, precise, thoughtful and poignant lyrics - case in point being Streets of London released 40 years ago and still most people of all generations know at least some of the lyrics. This EP, while timely as we mark the 100th anniversary of the beginning of World War One, is not essentially about the war. In McTell's own words: "The songs on this EP are not to recount the battles deprivation or undoubted heroics of the participants. These songs written over the fifty years of my career are an attempt to evoke the final loss of innocence we experienced as a nation." The Lamplighter(England 1914 June 28th) has an intro similar to Streets of London and the gentle ballad points to the time when dark times began. In the title the date refers to the day Archduke Franz Ferdinand was assassinated creating a spark which set fire to the whole of Europe. This song was originally penned in 1968, called England 1914, and McTell's distinct, rich and slightly rough tones tell the story of the lights going out over the nation symbolic of something dying other than the brave lads who were on the battlefields of the war. The Maginot Waltz is a gloriously nostalgic song which tells of life as normal in Blighty for two young lads before they got caught up in all the jingoism and headed off to war. It has that lovely end of the pier type feel about it but as McTell does so well the lyrics tell a slightly darker story. Canopus was an engine which carried the china clay from the clay mine of St Austell. McTell tells the story of how this train which was used to provide livelihoods and entertainment but was then changed to an instrument of war. Once again McTell using the imagery in his gentle ballad to express the loss of innocence and how everything was changed by the conflict. It's one of those songs which is well worth digesting the lyrics on the sleeve notes before listening to the ballad. The final song is the title track and inspired by the ceremony of November 11 1920 when the body of the unknown soldier was brought to London in an event watched by thousands. This is a stirring song with military drums, brass and suitably sombre beat which of course all fit around McTell's poignant and telling lyrics. There are several good albums around at the moment commemorating the WWI anniversary and this EP from McTell is among the best. 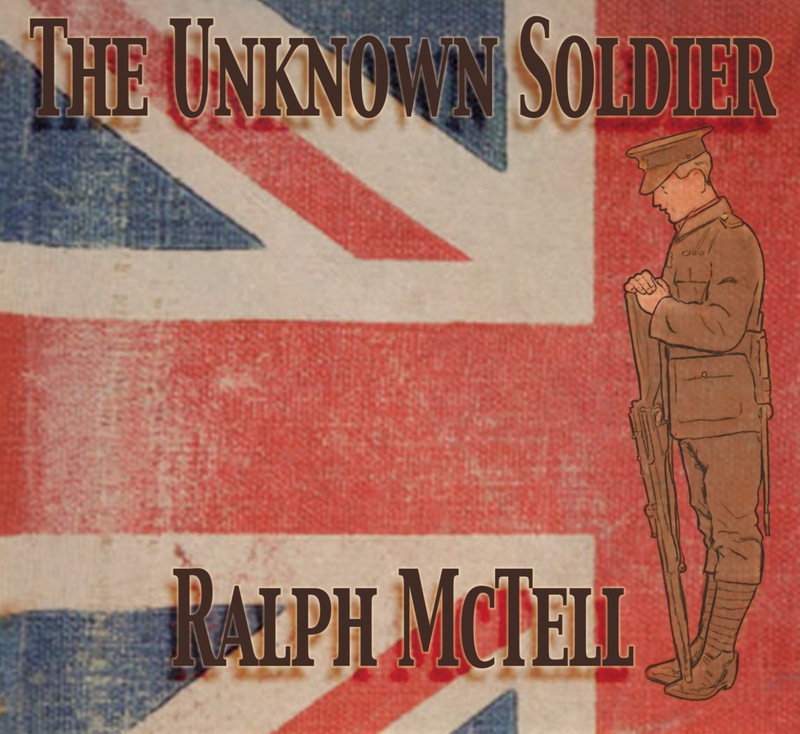 The Unknown Soldier is out now on Leola Music Label. 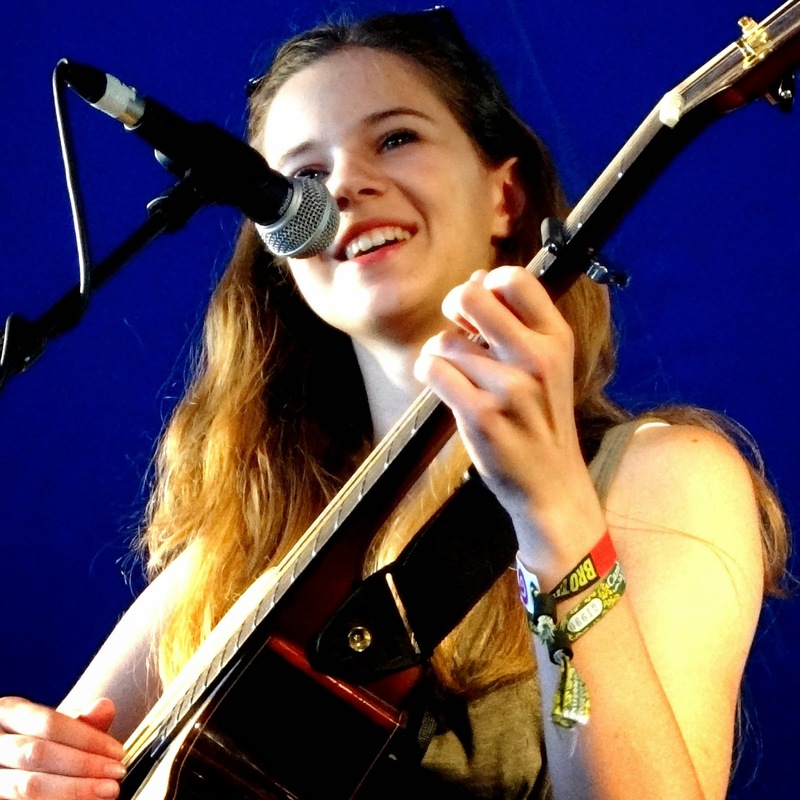 Yorkshire lass Iona Lane, who is still at school and studying for her GCSEs, has been learning the guitar for a year and rather modestly says she has been spending a lot of her time working out songs, sat in her room and just messing about. Well it has to be said, if this is what the Clapham songstress sounds like when she is messing about then watch out when she gets serious. This five track EP, which are all cover versions, is impressive for a first effort and it does give a feel for the depth and colour of her voice. It opens with her version of Blair Dunlop's Chain by Design and while she follows the tune almost to the very note her voice does bring a freshness and clarity to it which has the sounds of the passion of the protest songs of old. This is followed by Jackson Browne's These Days and there is something of the old-style folk singer in her delivery and there are nice little breaks where she speaks rather than sings. Lane's version of Larkin Poe's We Intertwine is a little raw in places but if you look past this you can feel there is real depth and power in her voice which will emerge with maturity. You get a sense of the real voice of Lane with her version of Kacey Musgraves It Is What It Is, her singing has overtones of Bjork towards the top end of her range as she sings her less country version of the song. The final track is Kal Lavelle's Blue Lagoon and is pretty much a straightforward copy both of the style and tune however, Lane's honest and unadorned voice does add something to the song. Considering Lane is just 16, still at school, still busking and doing open mics and only been playing guitar for a year what she has laid down is pretty impressive and without doubt she is one to watch for the future. 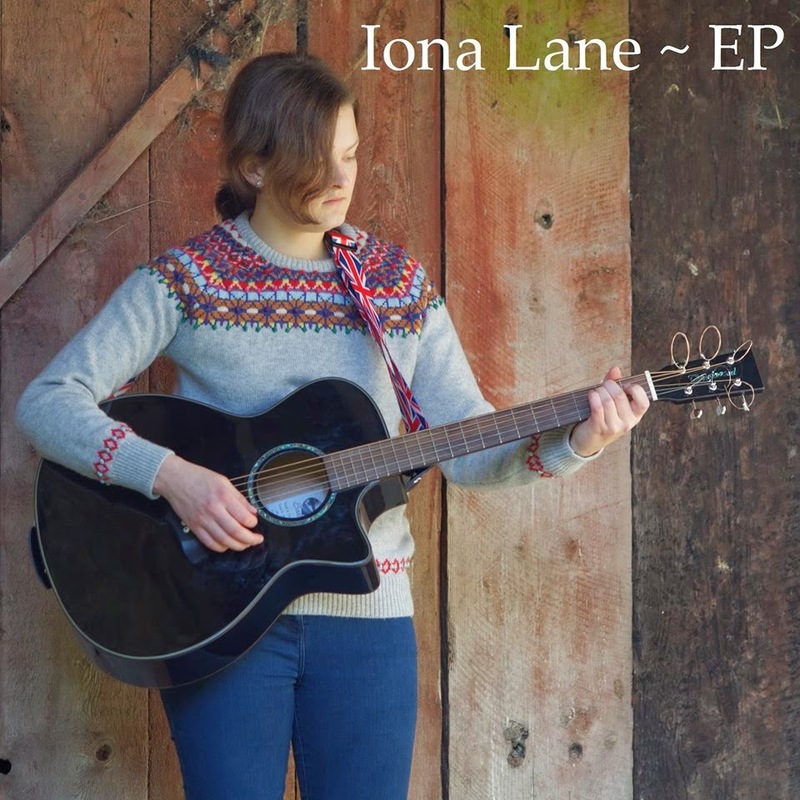 Iona Lane EP is available now through her facebook page.